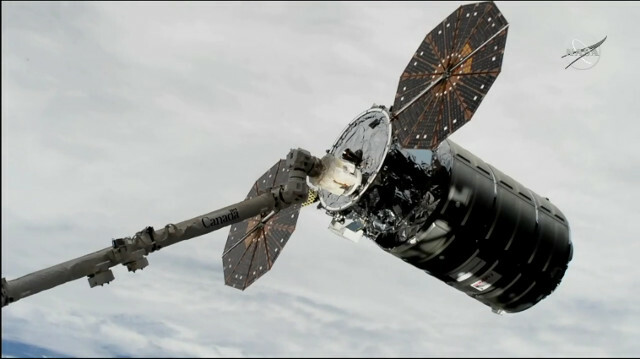 The Northrop Grumman Cygnus spacecraft, launched last Saturday, November 17, has just reached the International Space Station and was captured by Canadarm2 robotic arm. Astronaut Serena Auñón-Chancellor, assisted by her colleague Alexander Gerst, will soon begin the slow maneuver to move the Cygnus until it docks with the Station’s Unity node after about two hours. 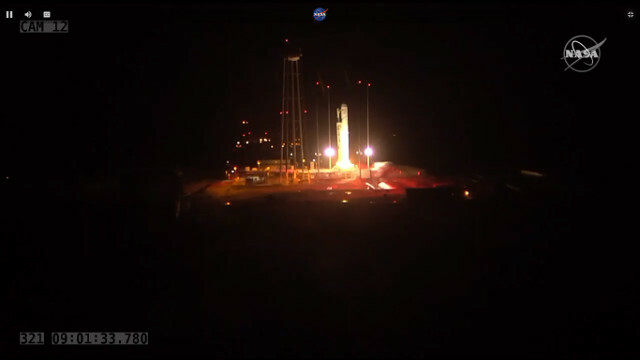 A little while ago Northrop Grumman’s Cygnus spacecraft blasted off atop an Antares rocket from the Mid-Atlantic Regional Spaceport (MARS), part of NASA’s Wallops Flight Facility (WFF) on Wallops Island. After about nine minutes it successfully separated from the rocket’s last stage went en route to its destination. This is its tenth official mission, called NG-10 but also CRS NG-10, to transport supplies to the International Space Station for NASA. 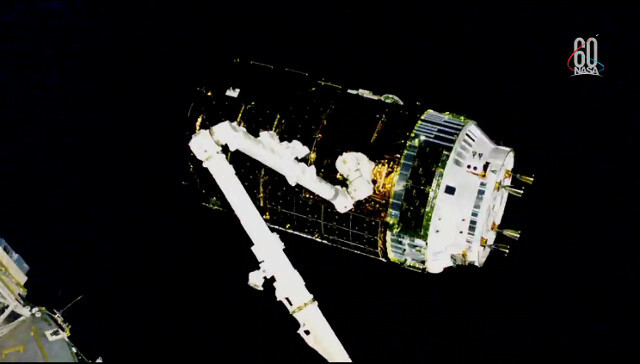 A little while ago the HTV-7 “Kounotori” spacecraft was captured by the International Space Station’s Canadarm2 robotic arm, operated by Drew Feustel with the assistance of Serena Auñón-Chancellor. The Japanese space cargo ship, which blasted off last Saturday, carries a huge amount of supplies and experiments. 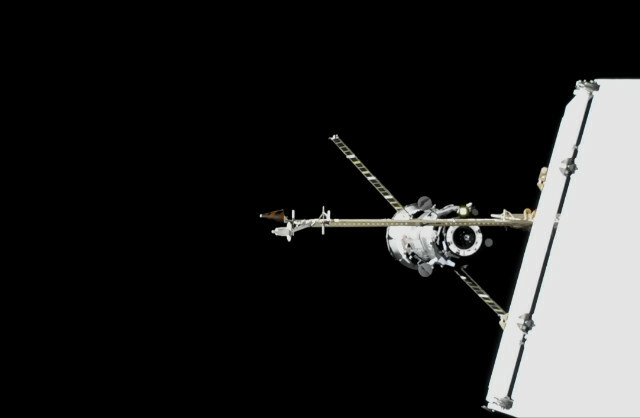 After its capture, it will take a little while before the HTV-7 starts getting moved to its berthing location on the Harmony module.